Get your STEM picture book! 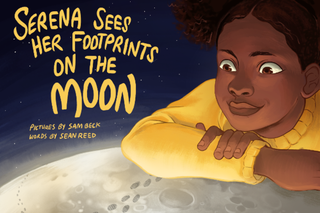 A young girl imagines a trip to the Moon, where she interacts with a few of the objects left behind by the Apollo program astronauts. The objects she encounters are really there, evidence of the 12 people who have set foot on the Moon. We are excited to offer this book to the world in the hopes that you will find it as fun to read as it is to make!